STAY DRY AND COZY WITH A CLOUDTEN ADULT BUBBLE UMBRELLA, STRONG AND STURDY WINDPROOF DOME SHAPE UMBRELLA; WITHSTANDS EVEN EXTREME WEATHER CONDITIONS – The custom design and shape of our CloudTen large dome umbrella makes it virtually impossible to blow inside out- even in the most extreme weather conditions! DURABLE AND STRONG UMBRELLA, PERFECTLY SIZED AND STYLED TO SUIT ALL AGES, FASHIONABLE BLUE BUBBLE DOME UMBRELLA OFFERS SUPERIOR PROTECTION FROM RAIN AND WIND- Uniquely shaped durable dome large umbrella is custom designed to offer optimum wind shield protection, keeping you and your family dry in even the worst weather conditions. CloudTen strong dome umbrella can provide cover for the whole family! 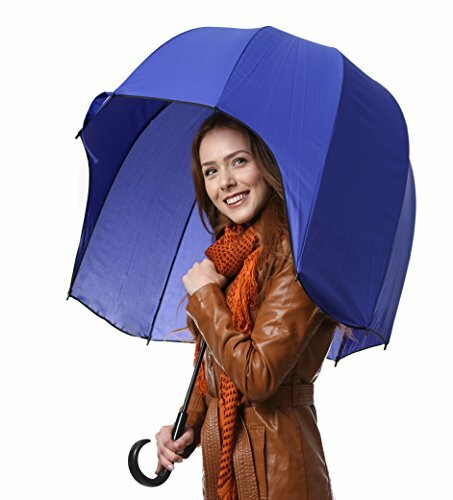 EASY-TO-OPEN DOME SHAPED UMBRELLA, RAINPROOF & WINDPROOF TRAVEL DOME UMBRELLA, CLOUDTEN DOME UMBRELLA PORTABLE HAS YOU COVERED FOR ALL OCCASIONS – Includes convenient shoulder carry case so you can take your large bubble umbrella on the go and be prepared for all weather condition- anytime, anywhere. 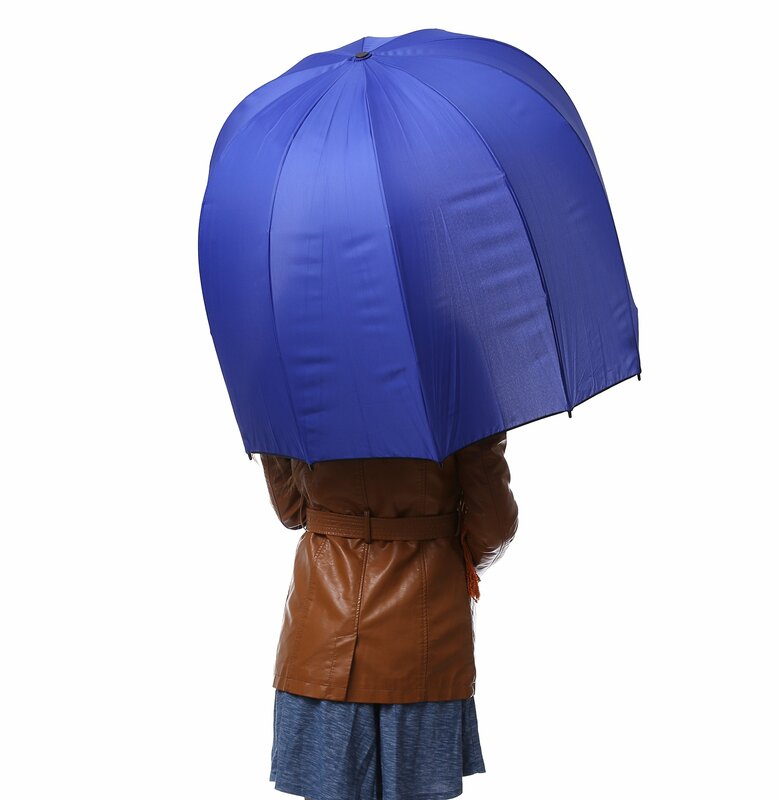 Helmet shaped blue bubble umbrella for superior rain protection — without blocking your vision! This is bound to become your favorite umbrella. This quality CloudTen bubble dome umbrella is the latest way to keep dry in rainy weather. Our large bubble umbrellas feature an innovative helmet shape, giving you ultimate rain and wind protection without blocking your vision. Especially useful for navigating crowds; the compact shape of our umbrella for strong winds helps you avoid poking others in the face while out and about. And of course, everyone hates when they’re walking in the rain and a strong gust of wind blows their umbrella inside out. The shape of the CloudTen wind strong umbrella helps prevent the wind from inverting this extra strong umbrella. Perfectly sized to suit and protect all ages, use interchangeably as a children dome umbrella (not sized for very young children) or adult dome umbrella- as you like! Fashionable and stylish CloudTen large dome umbrella blue color suits most outdoor attire and will make sure you stand out from the crowd. A dome kids umbrella that will protect mom and dad too. Keep it close for any rainy occasion with the convenient shoulder carry case which comes included. A a must-have item for all families- never get caught out by the weather again- keeps you safe and dry even in the driving rain! 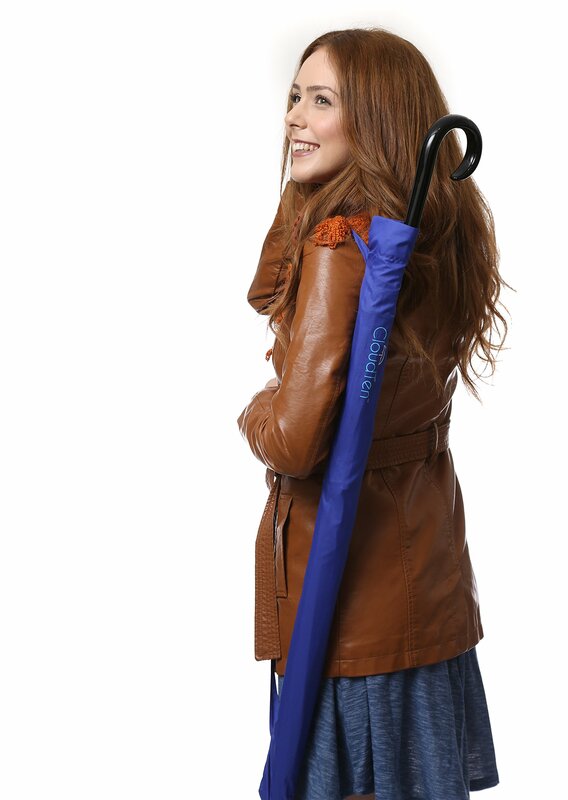 Fast and easy to open and close, you will never leave your house without your CloudTen umbrella again. The CloudTen helmet umbrella is big enough to provide you excellent protection from the rain or wind. Our fashionable dome umbrellas come in a stylish blue color to compliment most outfits and the plastic J-handle makes it comfortable for you to hold. FASHIONABLE & COMFORTABLE HELMET UMBRELLA, CONVENIENT AND EASY TO CARRY ADULTLARGE BUBBLE UMBRELLA, IDEAL FOR ALL OUTDOOR EVENTS – Innovative helmet shape adult umbrella not only looks good, but offers the ultimate adverse weather protection without blocking your vision. See where you are going at all times when you use our domed umbrella- even through the rain! Don’t just get one for yourself; this dome umbrella makes a terrific gift for your family and friends! 100% WATERPROOF MATERIAL, LONG-HANDLE STRONG DOME UMBRELLA, PERFECT FOR THE ENTIRE FAMILY- Carry your portable windproof umbrella for all rainy occasions. Innovative dome design helps keep you drier while walking or standing in the rain in comparison to traditional umbrellas. The umbrella dome has a good sized canopy therefore giving you optimum coverage and keeping you fully protected from the wind and rain. Really good umbrella, I love the shape and the wind won`t destroy it . This would be a very useful umbrella for reducing external to internal wind pressure that is notorious for destroying the average umbrella. 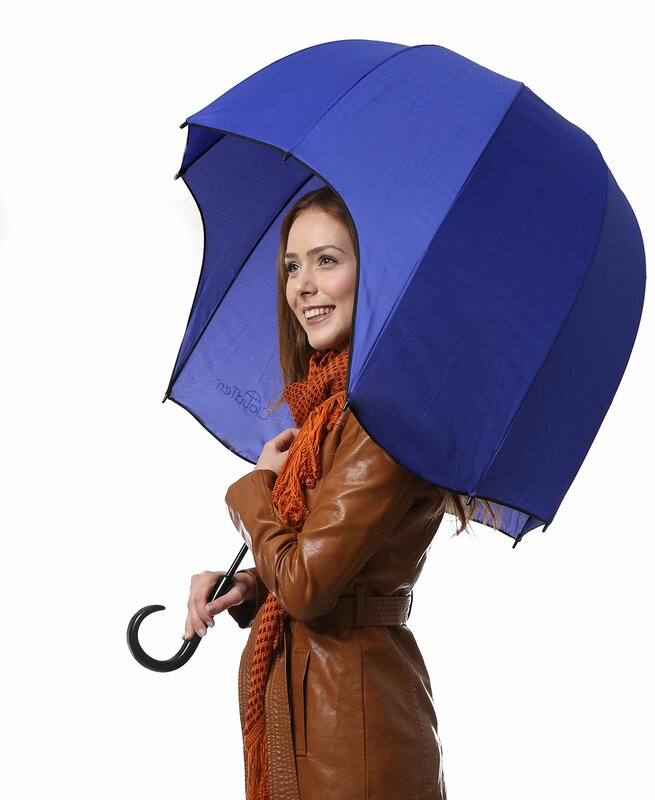 This could be a good purchase, it also shields you from blowing rain from three directions. Dome-shaped umbrellas are very convenient, but this one in my opinion looks rather ugly. I can’t decide whether it’s the opening at the front or the color; I prefer transparent bubble dome umbrellas for the best protection from the rain and wind without obscuring my vision too much. It’s a matter of personal taste, though, and if I was presented with it in a downpour, I wouldn’t hesitate to use it. I should order this for my daughter. It looks great and I think she would love when she goes to baseball games during the summer. That looks like an umbrella anybody might need would look. A lot of umbrellas easily get blown towards wind!